Being a film-maker and artist himself, Alex had an idea of what I was after, and he stayed “in character” while sinking until his lungs were bursting for air. He was so great to work with! It also became a challenge later to choose titles, especially with a man in the place of Ophelia. While doing some research I learned that Ophelia is one of the moons orbiting Uranus in our galaxy, hence Ofelia la Luna (Spanish). 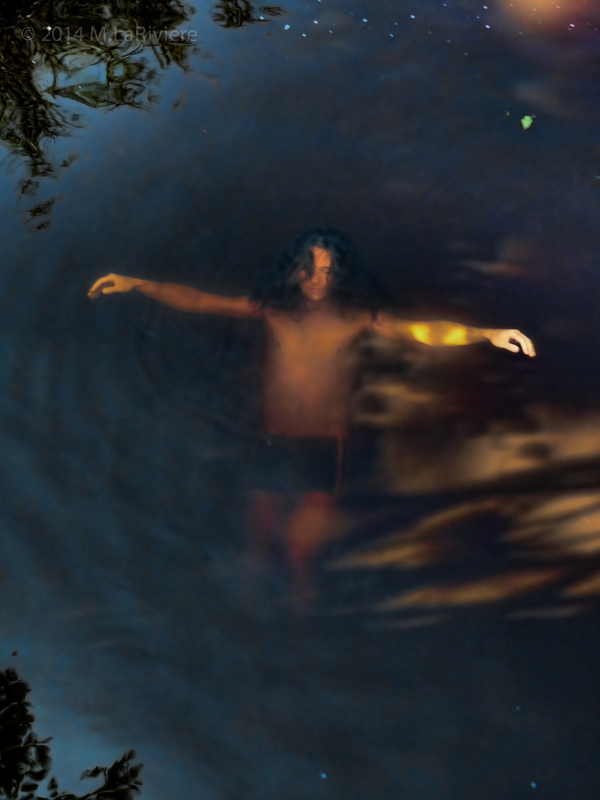 I also wanted to reference mythological gods, and it seemed appropriate to choose Neptune, the Roman god of fresh water and the sea, especially for this particular photograph where Alex is almost completely submerged.